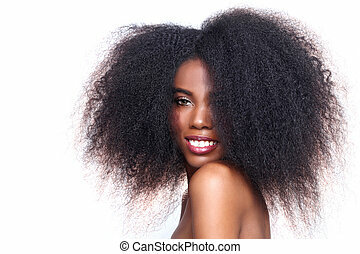 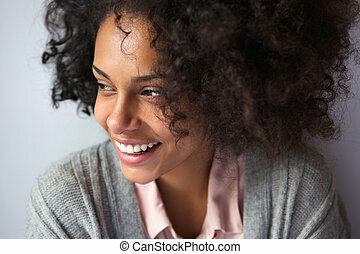 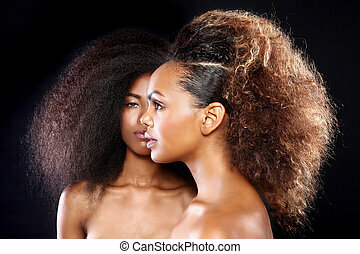 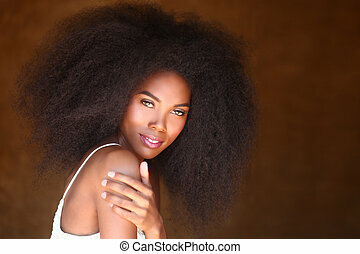 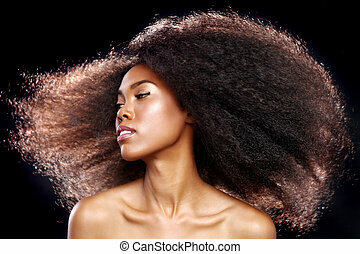 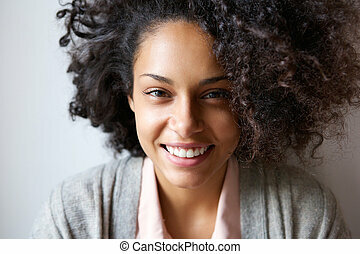 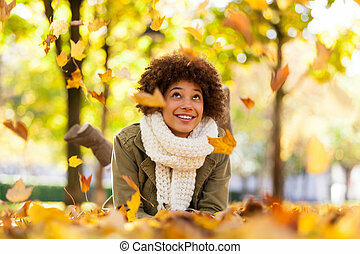 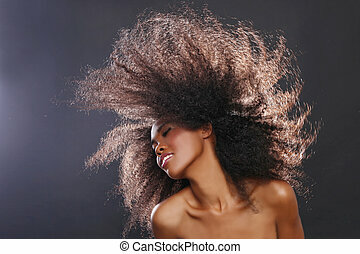 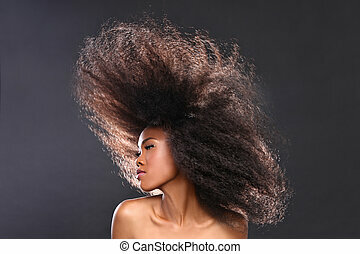 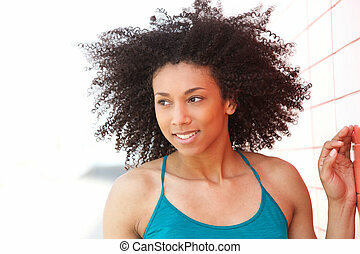 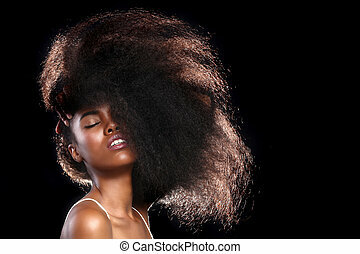 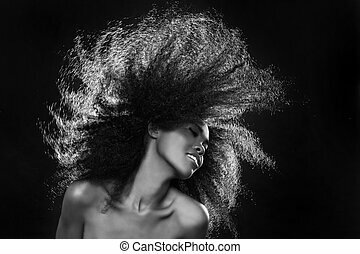 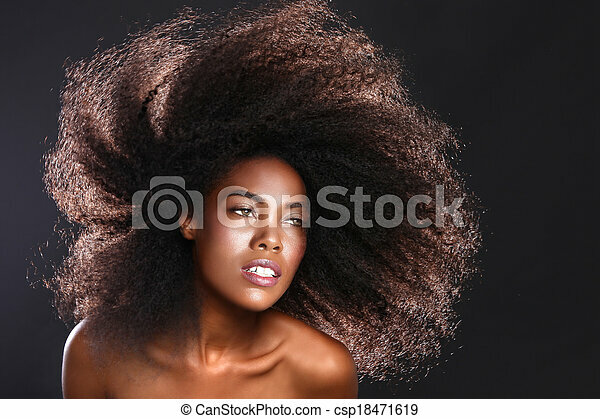 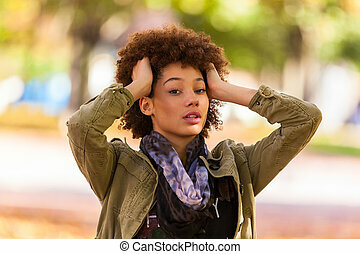 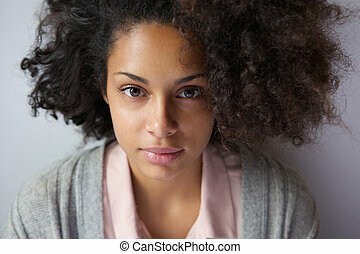 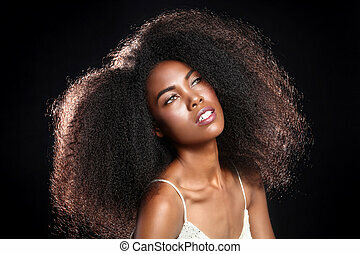 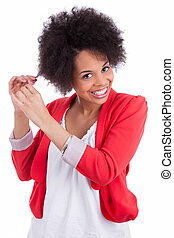 Beautiful stunning portrait of an african american black woman with big hair. 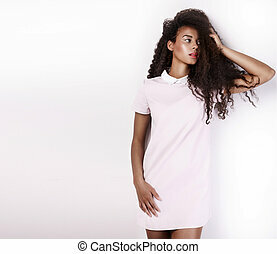 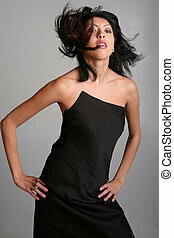 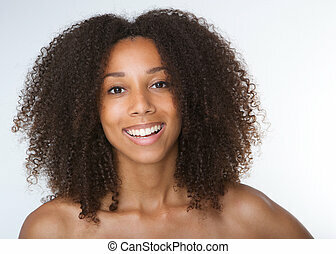 Beautiful young african american woman with long healthy hair posing in studio wearing fashionable dress. 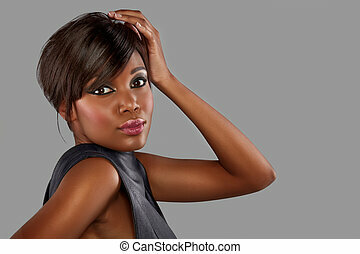 Girl with perfect delicate makeup. 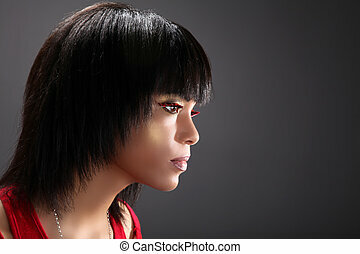 Indoor shot. 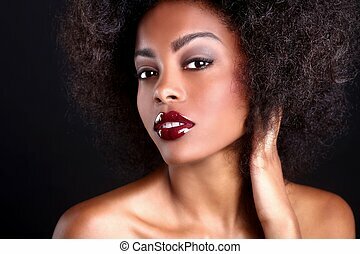 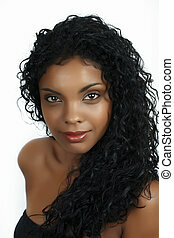 Beautiful African woman with long natural curly hair and natural make-up.